Lid for vegware gourmet window box. 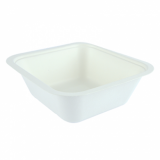 Vegware's new gourmet range is the market's first eco spill-proof window box for hot or cold food to go. This unique patented range of bagasse bases with matching lids is exclusive to Vegware. 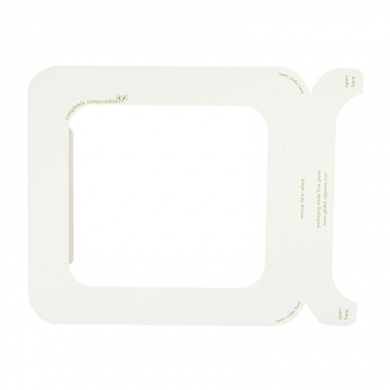 The lid features an anti-mist clear window, offering fantastic visibility and is made from plant-based PLA, which has 72% less carbon than plastic. This is Vegware's lid for size 4 version of the Gourmet Container.